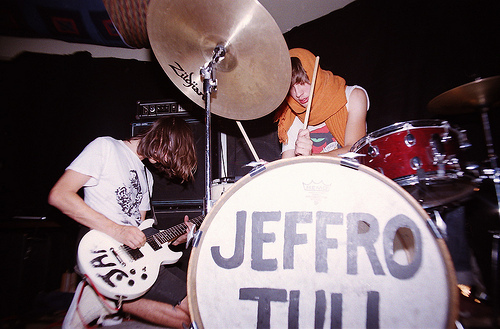 Don’t worry if you didn’t get enough JEFF over the weekend, they’re playing again this weekend before heading down to SXSW where they will then continue to destroy Austin. And if you’re down there too, then you might be able to pick up a little treat from the boys. 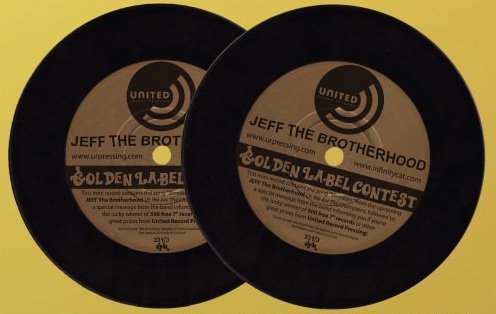 Our favorites over at United Record Pressing are going to be giving out free 4.75″ records at SXSW that feature JTB’s “Shredder” off of We Are The Champions. You’ll have to keep up with their twitter and facebook to stay in the loop as to where you can scoop one, so get on it. They also say that the band makes an announcement at the end of the single. Wonder what that could be… One last thing about the single; one lucky person will win 500 FREE 7″s from URP. Sounds like a good deal to us. We’ll have lots of JEFFy pictures up in the next few days….